Most of us are familiar with the term Man Cave, the tongue-in-cheek way of calling a little space, typically for men, to relax and enjoy their favourite hobbies and activities. But it’s not only men who need a hideaway, right? That’s why there’s been a massive rise in She Sheds for women to have a little more me time. Building your own She Shed is a great idea if you’re looking for that perfect place to escape, but lacking that much-needed space in the house! We’ve put together a few ideas that will help you get inspiration for building your dream She Shed; from the most suitable sheds down to the interior, we’ve got it covered. Have a think about what you might like your She Shed to be - Have you dreamed of a garden hideaway that is ornately filled with lush indoor plants? Or a shabby chic retreat where you can get stuck into a good book? Or maybe you’re thinking more along the lines of a nautical theme so you’ve got a holiday escape at the bottom of your garden! A Dreamy Entrance: it’s not only the interior of your shed you want to look pretty, you can make the exterior of your She Shed just as dreamy. With a simple lick of white paint and a few pretty plant pots filled with a beautiful tree or plant will immediately give your She Shed the curb appeal it deserves. White Wood Interior: Don’t just stop at painting the exterior white, why not create a light, airy hideaway by painting the walls and ceilings white too. Shabby Chic: Shabby chic has been a popular style amongst interior designers for the last few years, and you can easily create this vibe in your She Shed. Some unique antique pieces, bunting and shabby photo frames and signs go along way when creating the perfect space for an afternoon tea party. 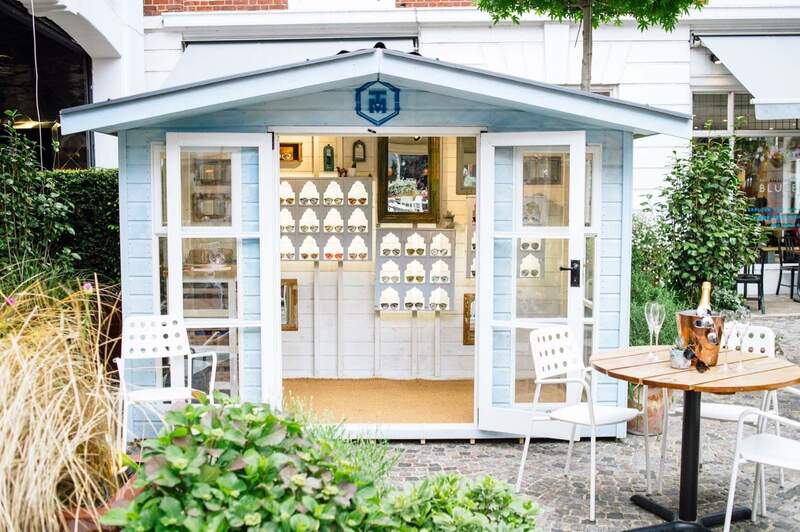 Nautical: Introduce an array of nautical colours to your She Shed by painting your shed white with hues of blue. Tastefully decorated with shells, pictures of the seaside and items from the sea and you’ve created the perfect seaside escape. Accessories: cushion, throws, blankets, lamps are just a few of the things you should accessorise your shed to make it a real hideaway that’s a home away from home. What outbuilding would be perfect for my dream She Shed? You’ll need the perfect shed to make your dream come true. Ace Sheds offer a range of versatile garden sheds, workshops, summerhouses and garden offices which you can customise using our bespoke service to really tailor your garden She Shed to you. 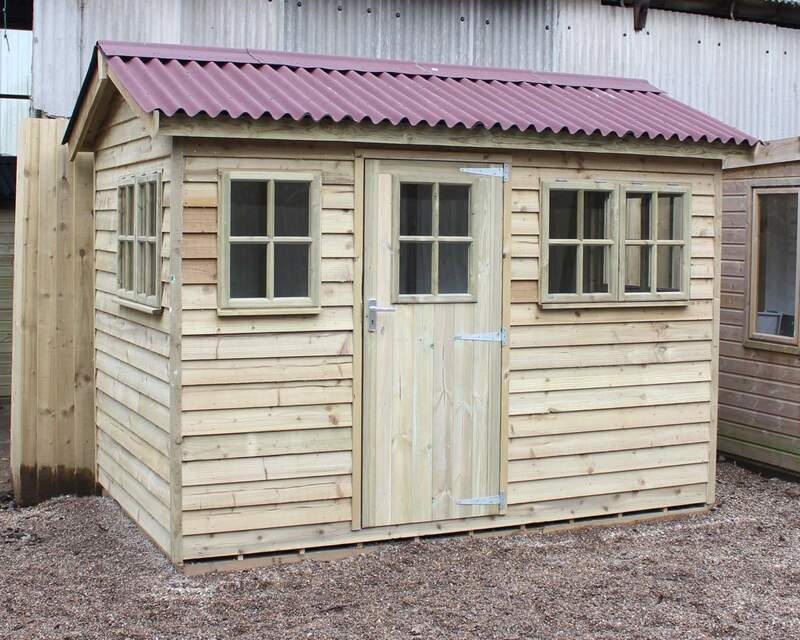 Our range of pretty sheds could hold the perfect shed for you, and as the name implies these sheds are sure to be pretty enough to become your She Shed. The Pluckley Shed is one of our most popular sheds comprising of a Georgian window door and Georgian style windows creating a light and airy feel. The Sussex Shed, on the other hand, is more a spacious modern design which would be well suited to a contemporary London back garden. You can view our whole range of Garden Sheds by size to ensure your shed accommodates for your garden and compliments its surroundings. 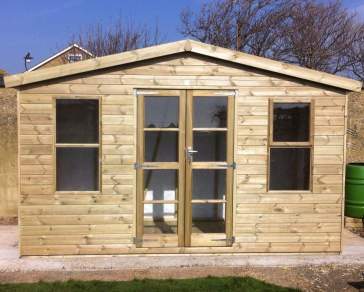 At Ace Sheds we offer Secured by Design sheds and garden buildings, so you can be rest assured that valuables inside your shed are safe and secure. All of our sheds are also pressure treated so you don’t have to worry about your shed rotting or decaying from extreme weather conditions - we’ve gone through the processes to ensure your shed is with you for a lifetime. Show us your She Shed! 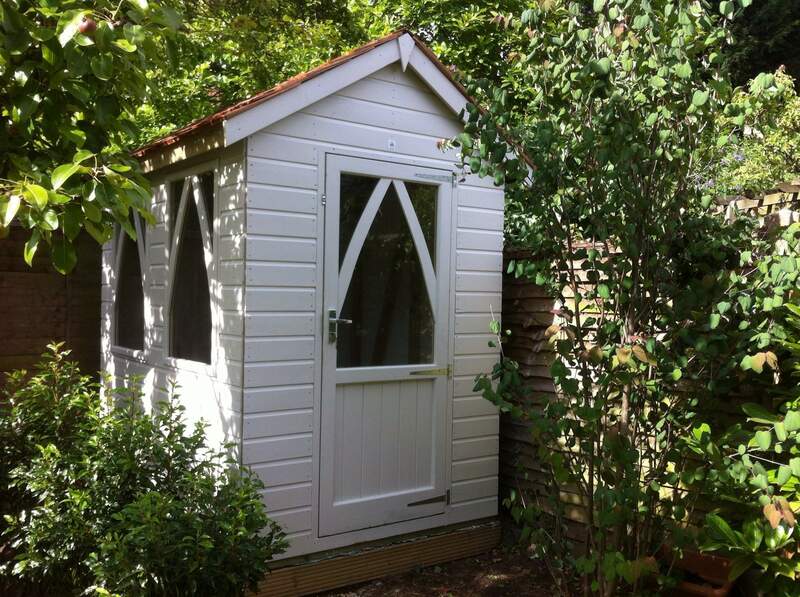 We’d love to see how you’ve styled your She Shed and created the perfect hideaway at the bottom of your garden. Find us on Twitter or Facebook and tag us in images of your dreamy She Shed!